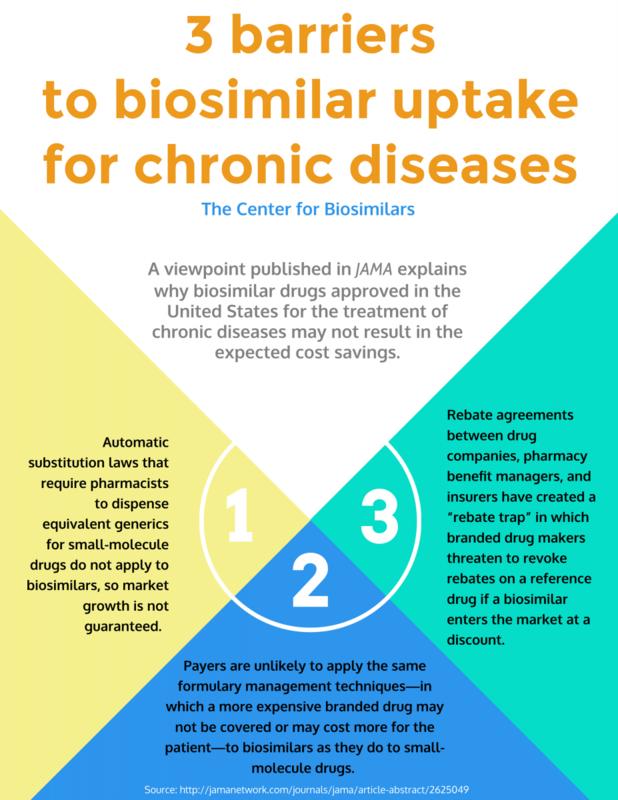 A viewpoint published in JAMA explains why biosimilar drugs approved in the United States for the treatment of chronic diseases may not result in expected cost savings. A viewpoint published in JAMA explains why biosimilar drugs approved in the United States for the treatment of chronic diseases may not result in expected cost savings. Read more about the viewpoint here.